We, men and women, coming from 12 countries and 20 organisations and networks, members of regional and sub-regional social platforms, constituting of farmers, herders/pastoralists, artisanal fisherfolk, consumers, NGOs, human rights movements, women, youth, academics, and indigenous people, met in Beirut, Lebanon on 7–9 April 2016, in preparation for the 33rd FAO Regional Conference for the Near East and North Africa (NERC33), which will take place exceptionally in Rome from 9 until 13 May this year. We discussed a multitude of issues pertaining to the agenda of the upcoming conference. 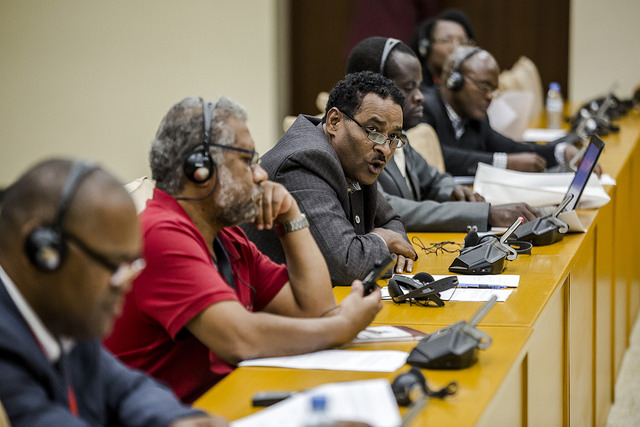 The participants especially focused on FAO’s three NENA region initiatives, in addition to other priorities for our region within the frame of ongoing global policy processes. 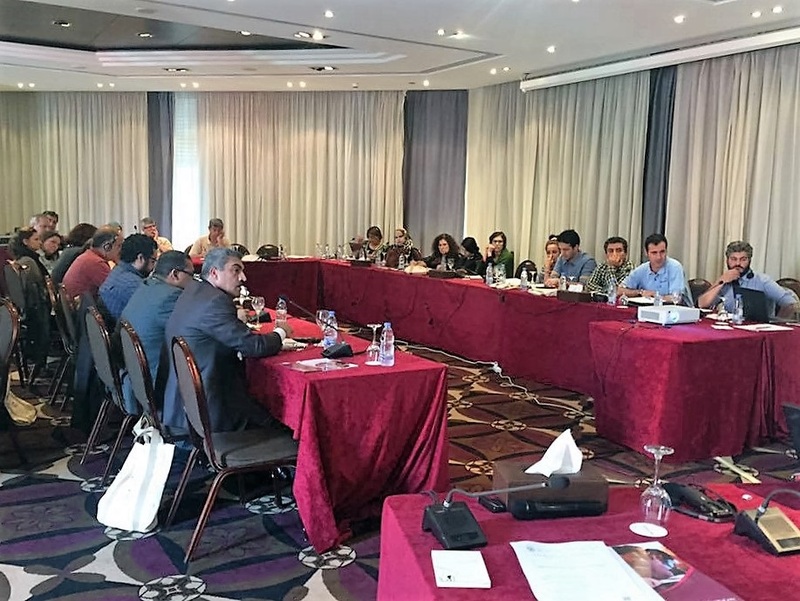 In particular, civil society representatives set out their own plans to cooperate in support of small producers, while localizing the Tenure Guidelines. After three days of consultations, we came up with the following observations and recommendations, which we will present after making the following priority statements. We, participants of this consultation, strongly affirm our solidarity and support to our oppressed brothers and sisters in Palestine who have been suffering most directly from nearly 70 years of Israeli occupation, oppression, uprooting practices and policies, and aggressions that have dispossessed generations of Palestinian men and women of their land, water, fisheries and other natural resources; i.e., their very means of subsistence. Documenting and mitigating the causes and impacts of these continuous aggressions on Palestinian farmers and fishermen, their fields, fishing grounds, boats, infrastructure and productive assets is crucial in determining the interventions supporting their resilience, food security and food sovereignty. 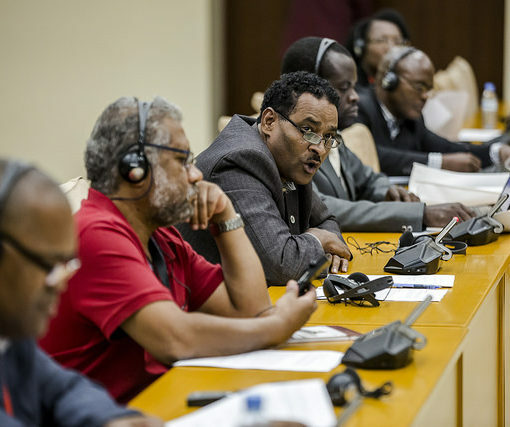 We also affirm our solidarity and support with the marginalised and oppressed farmers, peasants, pastoralists and fisherfolk of Syria, Sudan, Yemen, Libya and Iraq who have been enduring imposed wars and terrorism amid continued attacks on their sources of livelihood, displacement and death through the most-inhumane methods. Here also, we urge FAO and the relevant UN organisations to establish a reliable database on the actual situation of land and water resources, livelihoods and the underlying causes of food insecurity in conflict situations. 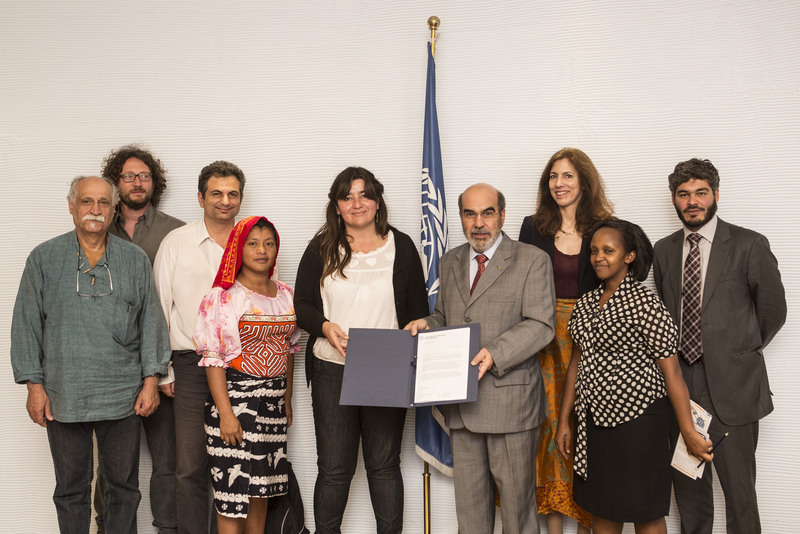 In this context, we cannot but commend FAO and the CFS for adopting the Framework for Action for Food Security and Nutrition in Protracted Crisis and encourage it, as the main international organisation mandated with global food, agriculture and nutrition policy, to intensify and upscale its efforts and direct interventions, together with national governments, to support these population groups through the integration of humanitarian, development and human rights approaches and target the underlying causes of food insecurity and enhance people’s resilience. We have to stress that the pursuit of resilience is not sufficient without the pursuit of accountability (Principle 7) and strengthening accountability processes (7iii) for underlying causes of food insecurity that try people’s resilience, whether those causes are domestic or extraterritorial in nature. As provided in the Tenure Guidelines also, such remedies should be prompt and “may include restitution, indemnity, compensation and reparation” (VGGT: 4.9, 25.5). We welcome and value all the FAO regional initiatives and the progress made in the last biennium, including the special Initiative on “Building Resilience,” “Water Scarcity” and “Sustainable Development of Small-scale Agriculture” as vehicles to improve food security and nutrition at country and regional levels. However, the urgency of these initiatives suggests that the past two inter-sessional years should have produced greater specificity of programming, conceptual clarity and certain results. Civil society is also late in engaging with these initiatives, and we look forward to further stakeholder efforts, including our own, to advance its objectives. Disregard for small-scale producers, including women and indigenous peoples (often suffering multiple discrimination), in the national and regional policy and financial setting. Committing to a process of meaningful and prior consultations with civic platforms and social movements in the development and implementation of national and regional programmes aiming to eradicate food insecurity and hunger. Thoroughly investigating and scrutinizing misleading solutions to hunger and rural poverty; i.e., carbon markets, green economy, GMO-oriented and -driven biotechnology, “climate smart agriculture,” green growth and others. 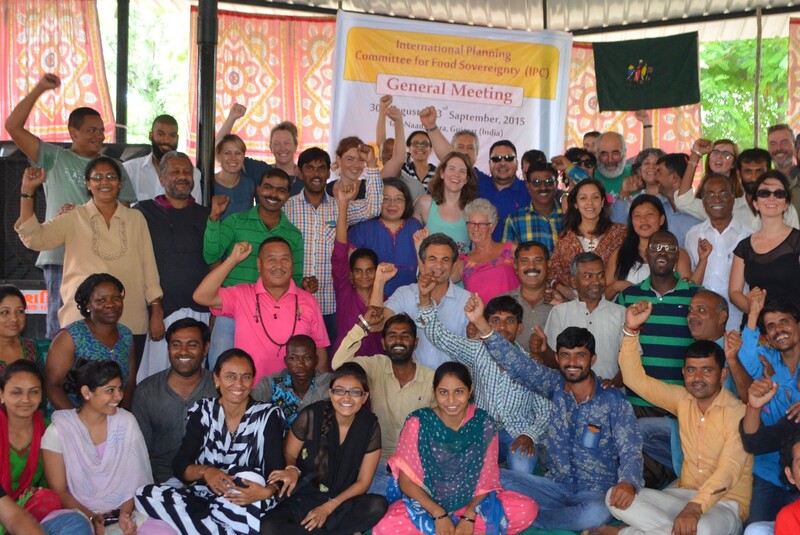 Pursuing food sovereignty as synonymous to resilience; adopting policies that promote small-scale and family production as opposed to supporting dependency on capitalist food production, which exploits peoples, workers and ecosystems by following strategies and policies of commodification and profit as opposed to the right to food and Food Sovereignty as a fundamental human right. Recognising the vital role of small-scale and artisanal fisheries and aquaculture, as an important complement to family farming, in the consumption of aquatic products in order to guarantee food security and food sovereignty in communities around the world. States must promote and enforce public policies for the preservation and management of responsible and sustainable fisheries, including the use of our resources for nutrition. They should provide financing and infrastructure, access to markets, social security and incentives in order to improve production, together with the participation of the global fisheries sector. Rationalizing production and consumption (promoting fact-based advertising and promotion of consumables). Promoting culturally and ecologically friendly “food based dietary guidelines” promoting sustainability” and conservation of natural resources. These should reflect positively on production and import policies. Continuing and progressive efforts at FAO and governmental level toward building a space of dialogue with non-governmental organizations, social movements and civic platforms within the lines of the FAO Strategy for Partnerships with Civil Society. The Paris Agreement does not represent a landmark to fight climate change. This agreement is non-binding and only puts forward a proposal for adaptation, instead of fighting the real causes that exacerbate climate change. It is presented as a success; whereas, in fact, it was a setback, compared to the binding character of the Kyoto Protocol, which called upon the most-polluting countries to reduce their emissions. It was replaced by a compensation system based on the carbon market and linked to monocultures and forest plantations. These mechanisms are false solutions to climate change, which is why we reject the concept of climate-smart agriculture and FAO’s definition of forests and the UN REDD programme as a solution to climate change. Large-scale food and agriculture systems are responsible for between 41% and 54% of greenhouse gases. The impact of the Paris Agreement on small-scale farming, given the emphasis it places on the commodification of climate, should be thoroughly researched. The value of small-scale food producers, family farmers and agro-ecology needs to be recognised in our region. They are not merely vulnerable people or stakeholders, but rather rights-holders who play an essential role in cooling the planet. All climate-change adaptation and mitigation mechanisms proposed by states should build on traditional and ancestral knowledge. The ongoing processes toward Habitat III (October 2016) have narrowed the integrated Habitat Agenda of the past 40 years to a new “urban agenda,” uncritically promoting urbanization at the expense of previous global commitments to balanced rural and urban development. This exclusively urbanist scope subordinates rural dimensions of development despite the need for visions and policies conducive to effective city-region food systems. At least six of the 2030 Sustainable Development Agenda goals require equitable and sustainable land management toward multiple development outcomes. Operationalizing this more-integrated policy framework promises to foster a needed approach toward policy coherence and more-rational land and resource administration in NENA. These observations, along with the other principles cited above, form the basis of our proposal for cooperation and partnership for the next biennium.